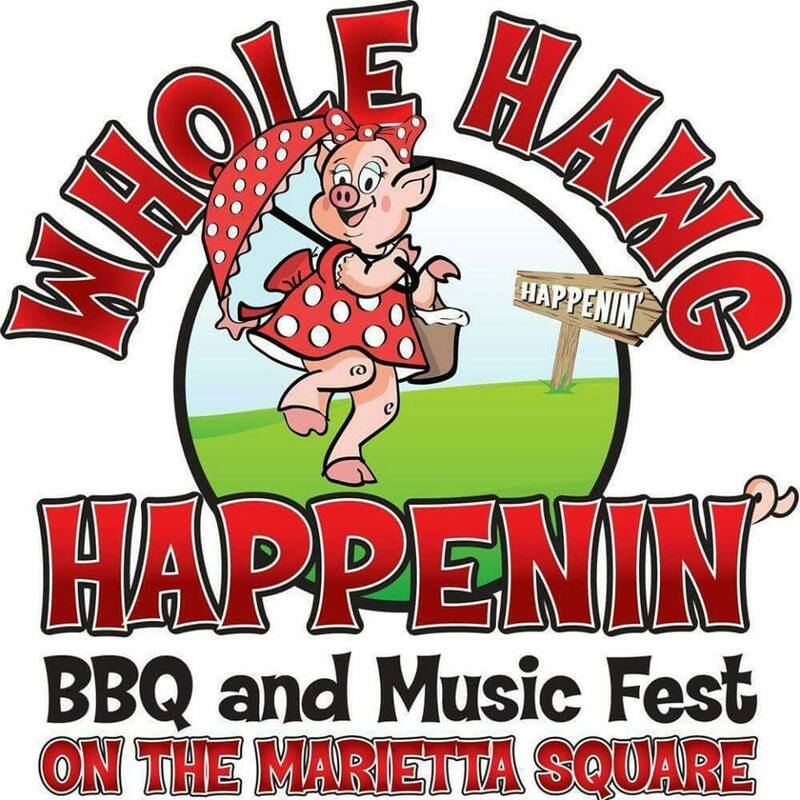 The Whole Hawg Happenin’ BBQ and Music Fest will be held on September 27th , 2015 from 11:00 a.m. to 6:00 p.m. The annual food and music festival will take place at the historic Marietta Square located at 50 Lawrence Street in downtown Marietta. Admission and parking are free, and all ages are welcome! Beginning September 1st, VIP tickets will be available for purchase and include access the VIP Area sponsored by The Local Restaurant on Marietta Square. The family-friendly event celebrates the great BBQ of the South as Metro Atlanta’s top restaurants gather to offer tastes of the best BBQ in town for $.50 – $5.00 per plate. A variety of fare from local restaurants and food trucks will also be available throughout the festival. The fun and flavor continue with live food demonstrations, the event’s Beer Garden, BBQ Alley, and more! Check out classic and modern cars at the Car Show, get hands-on with interactive activities at the large Kids Corner, and enjoy some friendly competition over in the Sports Corner. Getting hands clapping and feet tapping, nine bands will perform live music across three stages! Kingwood BBQ, Dave Poe, Williamson Bros, Jim and Nicks, Big Shanty BBQ, Greek Tavern, Coco Bongos, Come and Get It Restaurant, Little Jimmies Italian Ice, Rusty Nuts, Granny’s Old Fashioned Lemonade, Deep Fried Brownies, and many more! For more information on the 2015 Whole Hawg Happenin’ BBQ and Music Fest, connect on Facebook!